Some of my programs in the Windows virtual machine don't look right: buttons aren't displayed properly, some are missing, program's interface (GUI) looks broken in general. 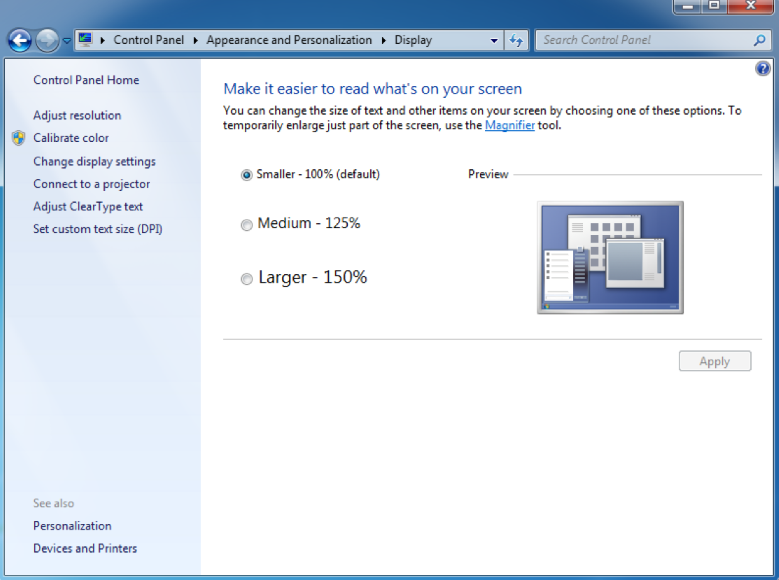 Other Windows-based programs which do not support high DPI resolution. Some Windows-based programs are not adapted for such high pixel density (DPI) resolution of the Retina display: Windows virtual machine resolution becomes very high thus everything is too small; in-program fonts, UI buttons or images are not rendered properly. Learn more about the Apple Retina display in this article: Frequently asked questions about using a Retina display. 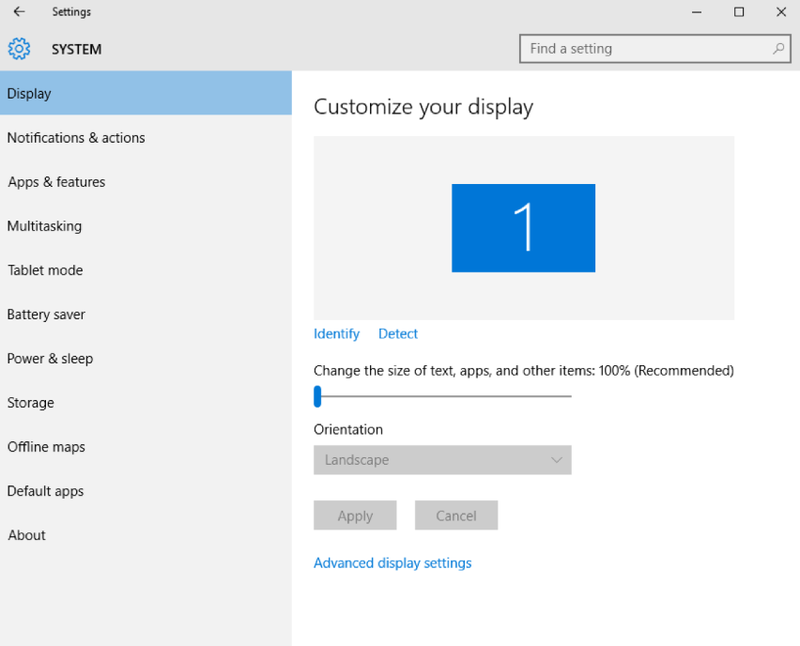 To make sure that Windows applications are displayed properly with 1:1 scale factor you need to select Scaled view mode in the virtual machine graphics settings. Parallels Desktop 13 for Mac brings enhanced Retina display support for Windows applications in Scaled mode. 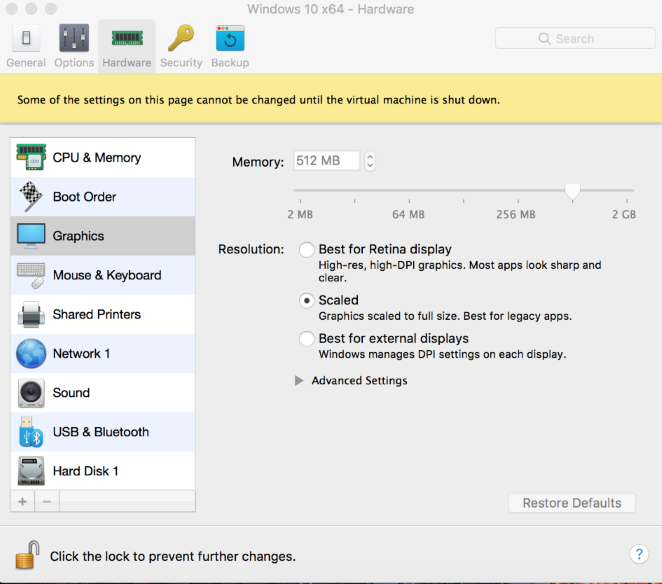 Adjust the Windows virtual machine's configuration settings > Hardware > Graphics > and change the Retina setting from Best for Retina / Best for External Displays / More Space to Scaled (HiDPi disabled). For Windows 7/8.1: right click on Windows Desktop > Screen resolution > Make text or other items larger or smaller > set 100% scaling and hit Apply & Sign Off. For Windows 10: right click on Windows Desktop > Displays settings > set 100% scaling and hit Apply. For more information about Windows scaling options please visit this page. 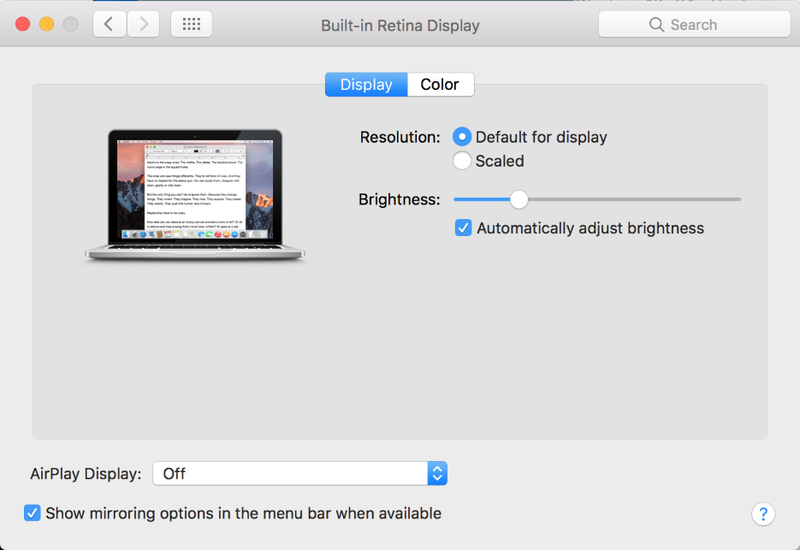 macOS System Preferences > Displays > make sure Resolution option is set to Default for display. Reboot the virtual machine to apply changes. After applying the solution above all Windows-based programs will be displayed properly in 1:1 scale ratio - everything will be on its position. The only minor inconveniece you may notice is the quality of fonts in Windows - the result of running Windows on Apple Retina display.